DHL, the world’s leading logistics company, is taking corporate social responsibility to the next level and creating a new standard for the global logistics industry. Right now, they are increasingly integrating today’s green technologies into their own operations and partnering with other organizations to build a better, greener future for us all. 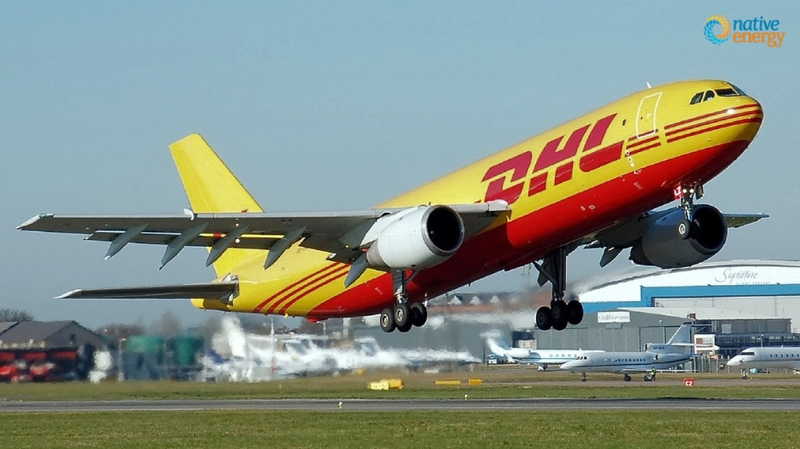 DHL is setting a new standard for the future of the logistics industry. From now until 2050, they are on a mission to drive their global logistics business to zero logistics emissions. That is a lofty goal, but DHL is prepared to “walk the talk” when it comes to corporate social responsibility. They know that “going green” can produce a solid competitive advantage which has the potential to make their company sustainable and successful for years to come. Thanks to their global reach and presence in almost every country on the planet, DHL is in a unique position to help societies across the globe. DHL has three main corporate social responsibility initiatives: GoHelp, GoTeach, and GoGreen. The GoHelp program provides United Nations with skilled and efficient disaster prevention and management support, while GoTeach focuses on providing better educational opportunities to children and young adults. The GoGreen initiative is a comprehensive environmental protection program designed to lead to a greener, more sustainable future, and change the way the logistics industry operates. DHL has started moving towards their zero emissions goal by sponsoring unique carbon offset projects in the countries where they operate. DHL’s investment has been essential for the nationwide Honduras Coffee Growers Clean Water Project which aims to promote sustainable development of communities participating in the coffee production process. In rural Honduras, lack of clean drinking water frequently results in deadly water-borne illnesses. Such illnesses undermine the quality of life in the region, including economic prosperity and development. Every day, many Hondurans have to make a choice: burn wood to try and purify their water, or risk serious illness. The wood is not harvested sustainably, and burning it contributes to climate change by unlocking the carbon molecules stored inside. It also increases indoor air pollution. The Hydraid® BioSand water filter is a practical alternative that reduces greenhouse gas pollution and brings clean air and water to families in Honduras. With large-scale water and sanitation infrastructure too far on the horizon, it is a simple and effective solution that provides a number of additional benefits beyond environmental impact. The Honduras Clean Water Project did more than help DHL move towards their zero emissions goal. It also allowed DHL to establish themselves as an environmental leader in the industry and left a profound, long-lasting impact on rural Honduras. DHL’s investment helped NativeEnergy create a permanent knowledge base in the area, and establish local oversight and tracking to ensure proper water filter construction and use going forward. In addition, local staff was hired to oversee program operations and water quality testing, and local entrepreneurs were able to start a business out of making and selling water filters, increasing the economic activity in the area. Improved access to clean drinking water has also made the coffee production supply chain more resilient by allowing coffee producers to direct more resources towards improving their education and livelihood. With the right partnership, your company can tell a similar story. NativeEnergy pairs businesses with unique HelpBuildTM projects that match their company goals and values, and help build a better planet, and a better future, for us all. Contact NativeEnergy to get started.